An approved VACC Repairer, Livesey’s Motor Works in Morwell are qualified mechanics who can service auto and manual cars of all makes and models. Have your car serviced regularly to keep your vehicle in the best working order, prolong the life of the car and its parts and reduce the risk of a break down. There are three difference levels of service depending on the age, mileage and type of vehicle. Checks and tests can include filters, fluids, belts, brakes, pads, spark plugs to larger components such as tyres and headlights. How often does your car need servicing? Each model of car has a manufacturer’s recommended time frame for routine servicing. You should try to service your car as frequently as recommended to keep it in its best condition. Check your owners manual to find out when your car should be serviced, or if you’ve misplaced your manual, check for a copy online or get in touch and we can help. Livesey’s Motor Works also offers log book servicing so you can choose us to service your new car and keep your manufacturers warranty. Our qualified staff always use genuine or high quality non-genuine parts, carry out work according to manufacturers specifications and are also able to reset your service light. Holding off on your car service may seem like you are saving money, but cutting back on essential maintenance and repairs doesn’t always save you money in the long term and risks expensive problems that could have been avoided, not to mention the safety of you and your passengers. If your car has been hard to start, or let you down, it may need a new battery. This is more likely to be obvious when the weather gets cold at the start of winter. 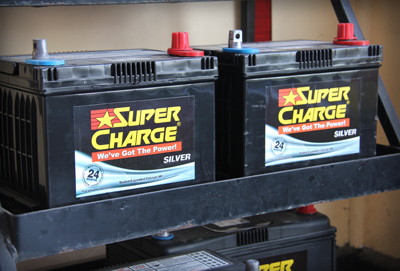 We can provide and install new car and truck batteries during a service. Or you’re welcome to call in if you think your battery needs to be replaced. Better to have it checked rather than get stuck somewhere! To book your car for its next scheduled service give us a call on 5134 4402.